Stretching along the state road near the village of Fogliano, one kilometre far from the Sacrario of Redipuglia and surrounded by a stonewall with a high gate is located the Austro-Hungarian war cemetery. 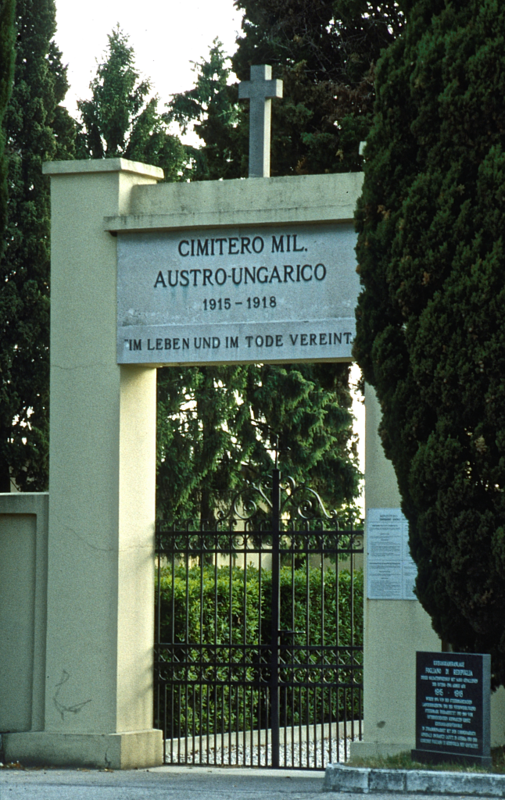 Above the gate there is an inscription in Italian and in German to pay homage to the 14.550 Austro-Hungarian soldiers killed in battle. 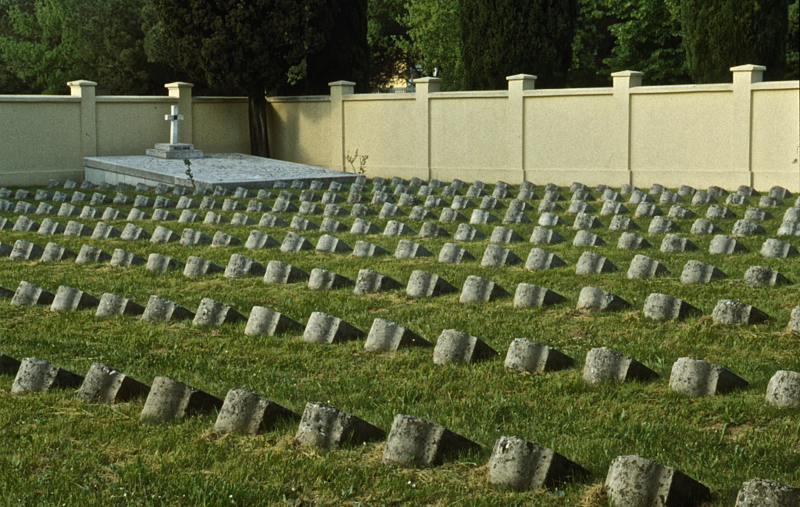 They were taken here from a number of war cemeteries of the area when these were suppressed. 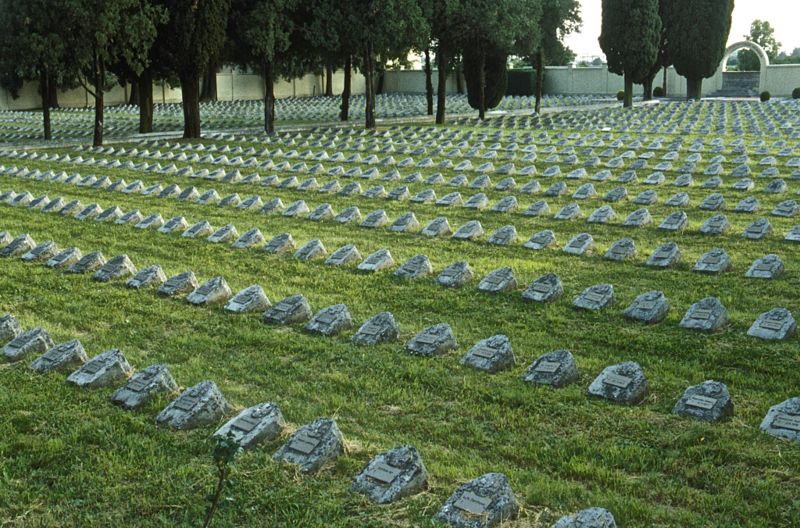 The Austro-Hungarian war cemetery of Fogliano is green with flowerbeds and two rows of cypresses: there are 2,550 ordered tombs with the names of the killed soldiers. 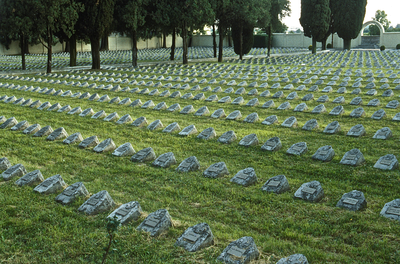 There are also the remains of 12.000 unknown soldiers preserved in three large communal graves.